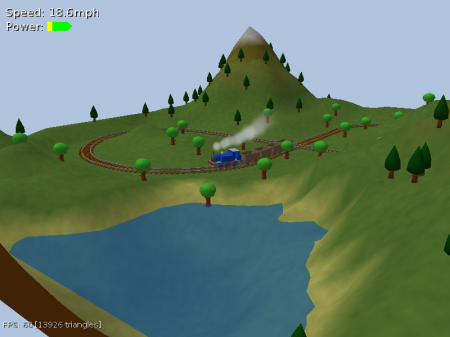 It’s been ages since I did much work on my unimaginatively-titled train driving game. Surprisingly some people have actually been trying to build the last release and it turns out anything using Boost bit-rots at an alarming pace. So I’ve bundled up the latest working version as TrainGame-0.2.2.tar.gz. It’s not all build fixes though. Looking through the log for the past few years I’ve done plenty of optimisation and prettied up the grass as I explained previously. You’ll need a recent-ish GCC or Clang and Boost.